Truly a song that needs no introduction! This national treasure is arranged for success with power and respect for the original song. 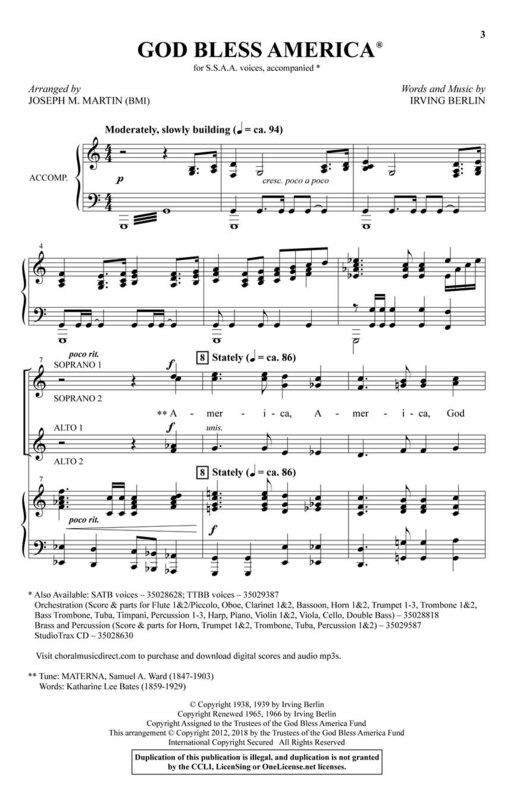 Quoting “America the Beautiful;” the arrangement begins with a flourish before settling into the opening; lesser-performed verse of the Irving Berlin standard. 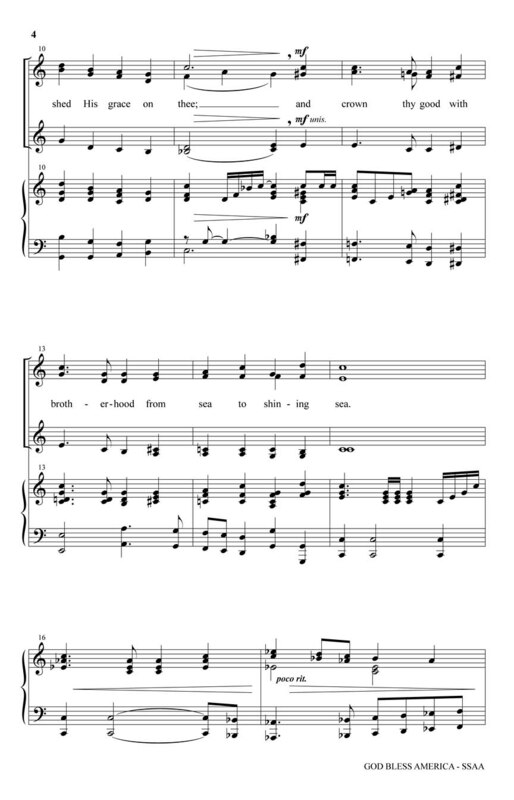 Gradually building to a massive finale; this anthem will have the audience singing along and cheering even before the final notes are sounded. Score and Parts for Orchestra (fl 1-2/pic; ob; cl 1-2; bn; hn 1-2; tpt 1-3; tbn 1-2; btbn/tba; timp; perc 1-3; hp; pno; vn 1-2; va; vc; db) and Brass/Percussion (hn; tpt 1-2; tbn; tba; perc 1-2) are both available as a digital download.